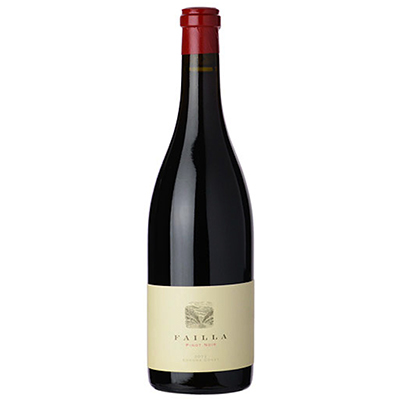 The Vineyards represented in this bottling are a stellar representation of quality farming, mature vines and the distinct terroir of cool climates and distinctive soils that brings Pinot Noir to life. Four impeccable vineyards from Chehalem Mountain down to the Eola-Amity Hills were used to create this wine. Ageing: 15% new French oak. 85% neutral French oak for 11 months. Tasting Notes: Lean, elegant, aromatic and filled with mouthwatering natural acidity and taut tannins bound together with fresh herb aromas and brambly fruit on the palate. Rosehips, pomegranates, orange zest, bright cherries all come to mind on the first smell, setting you up for a bounty of beautifully perfumed aromatics. Ehren Jordan is a true vigneron, with decades of combined experience in the cellars and vineyards from the Rhône Valley to Paso Robles, Sonoma County to the Willamette Valley, and just about everywhere in between. His obsessive hands-on farming practices and his minimalist hands-off winemaking style come through in every bottle, allowing site, variety and vintage to shine through.